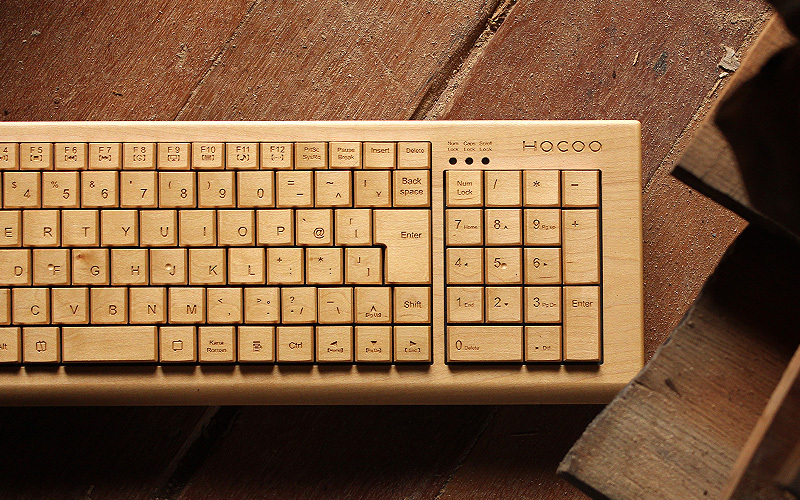 Including typing keys, outer components of this wooden keyboard are carefully finished one at a time by hand. Slight depression on each key is designed to fit nicely against your fingertip, resulting in rhythmical and gentle clickety-click. 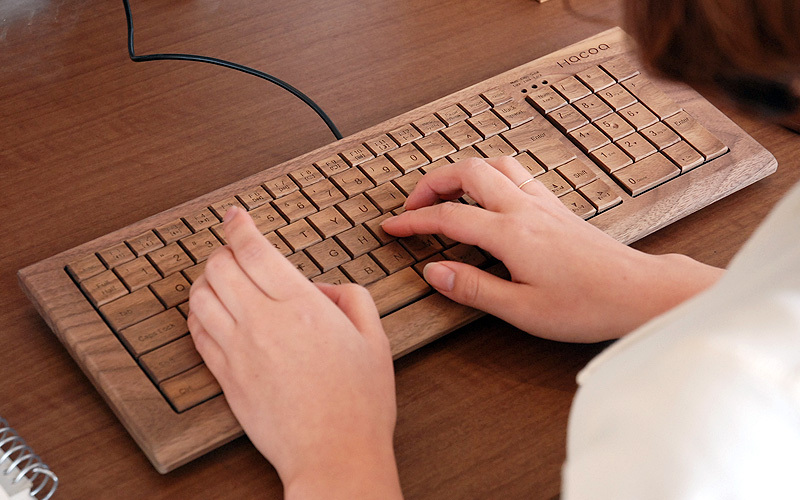 In contrast with plastic gadgets and computer on your desk, beautiful wood grains and organic atmosphere of Ki-board can help you loosen up. 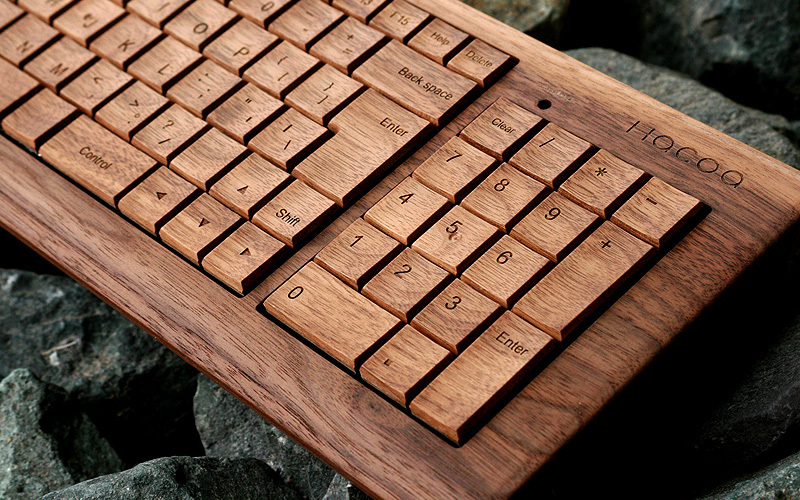 with no function when used with computers for QWERTY layout.